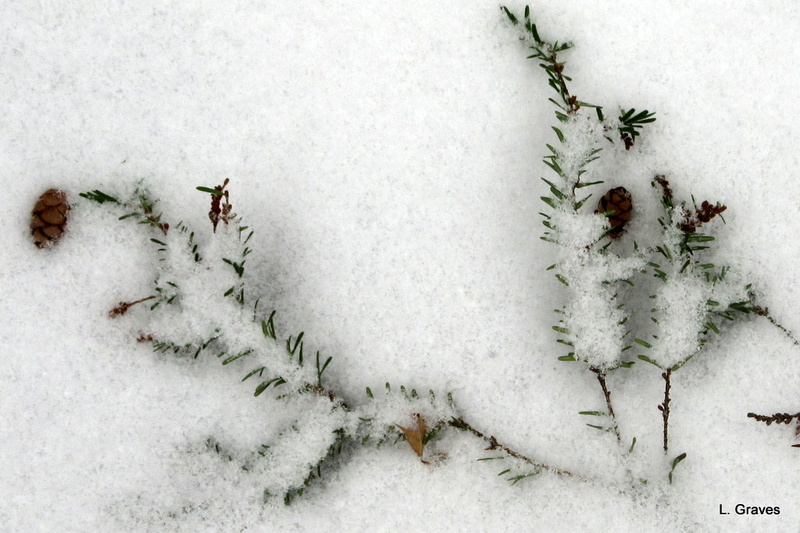 Yesterday, for most of the morning, it was spitting snow, as we Mainers like to say. It fell softly on the trees and the yard. It frosted our shovel, which we keep handy by the front door. 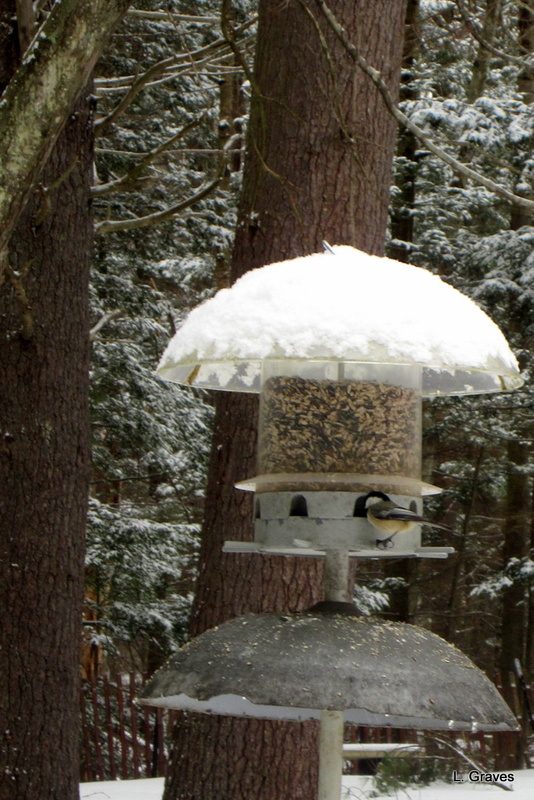 and the top of our bird feeder, where this chickadee can stay dry while eating. Winter can be soft and hard at the same time. Lovely and cozy looking! 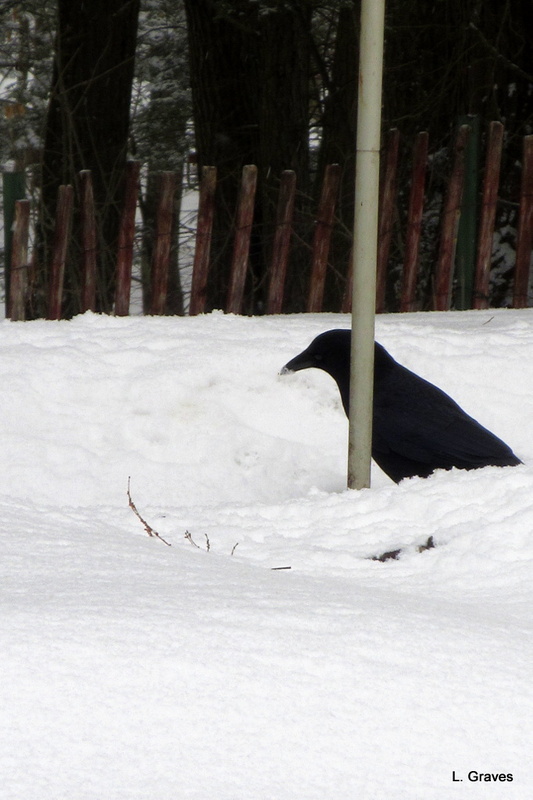 I like the crow a lot – very good shot! Such loveliness in photo imagery and the words are winter poetry. So lyrical and mystical in its succinctness and purity… An early valentine to winter’s beauty! Thanks, Judy. Clif had to use the shovel a little bit, but there wasn’t much snow this time. Crazy, crazy winter. All across the country. Nice photos! I’m surprised you had that snow–we’ve had none for quite awhile. And I’m okay with that! Thanks, Kerry. More snow to come on Sunday, and then the dreaded freezing rain. I’ve lost count of how many ice storms we’ve had this winter. We got more than spit here, and it’s still coming down! Still just a spitting here. Must have been more of a coastal storm. 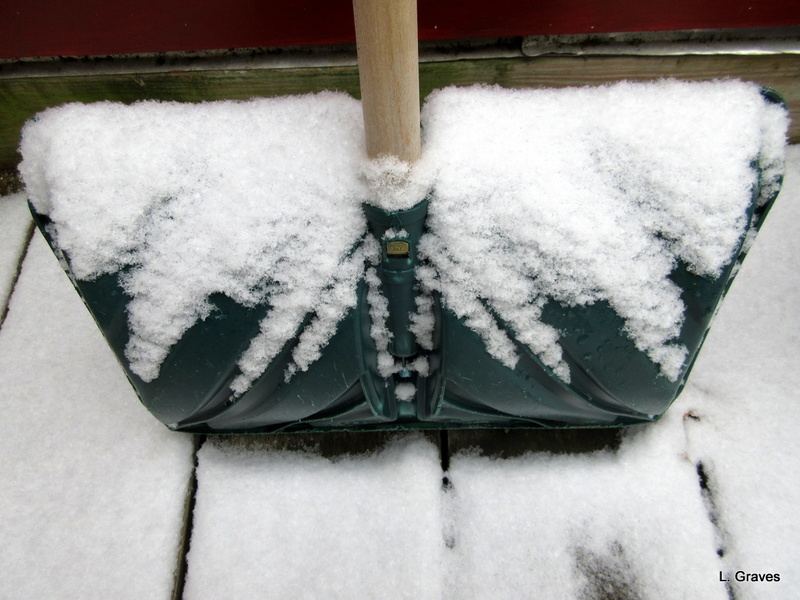 J > ‘Spitting snow’ – I just love that. I think that’s what we call ‘just a dusting’. Think dusting a cake with castor sugar. 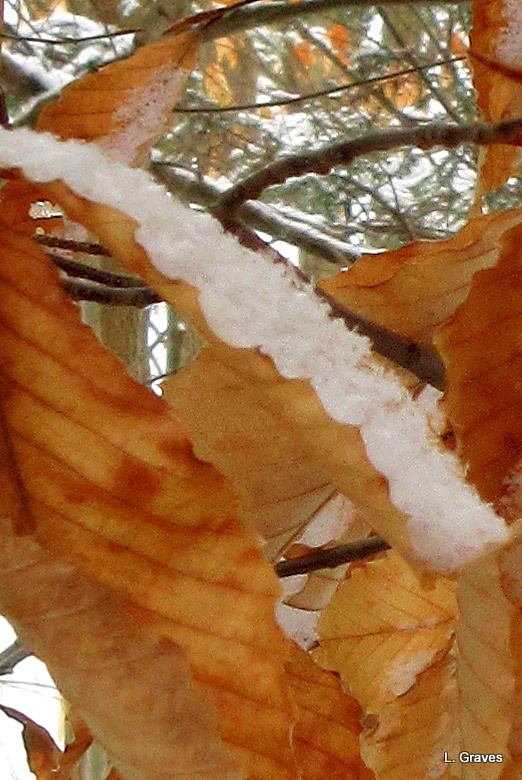 Wonderful photos, especially the frosted beech leaf. I guess because I don’t have to be IN the cold snow…. It all looks very picturesque to me… Love seeing the chickadee being sheltered while he eats, & the crow with a white tip on his beak .. Hope you don’t have to put up with anything more than “spitting”! Actually, winter is very beautiful. It is also cold and hard. However, I was born and raised in Maine and have lived here for most of my 60 years. To me, winter feels like a natural progression from fall and then into spring. We got a little more snow, but unfortunately we also got rain, and now the driveway and walkways are glare ice. Time to sprinkle wood ash on them. I agree that winter is a natural progression from one season to the other. Such a beautiful post, Laurie! I love your photos. No snow in my area, at my elevation, yet! It was close to 70 degrees here yesterday. 70 degrees! Is that normal for you this time of year? No – we have been warmer than normal this winter, with some oscillations. It is in the 30s this morning. I think the weather has been weird in many parts of the country. Sure is weird in Maine.